This French essential oil is 100% pure. Benefits : Soothing, normalizing, balancing. Aroma : Floral. Ingredients: Pure eucalyptus oil. Suggested Use: For aromatherapy use. For all other uses, carefully dilute with a carrier oil such as jojoba, grapeseed, olive, or almond oil prior to use. The Australian Aborigines applied crushed eucalyptus leaves to wounds to promote healing. They also used eucalyptus leaves to fight infection and relieve muscular pain. Even Western surgeons recognized the benefits of eucalyptus, and have used a eucalyptus solution to wash out operation cavities. New unopened Peppermint essential oil. 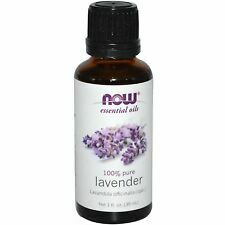 NEW Young Living Essential Oils 100 % PURE and AUTHENTIC 15 ml Therapeutic Grade. Upgraded Diffuser The 2nd upgraded 100ml oil diffuser has avoid the leaking problem,safely to put it in your bedroom and living room or office. -Safety Waterless Auto Shut-Off When water is used up or less, the diffuser automatically shuts off to protect from burning out and ensure safety. Diffuser fuction can be turned on/off. 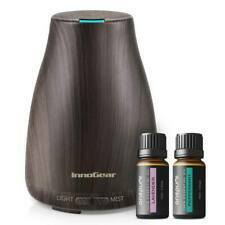 Essential oil diffuser dispel natural oils into the air to impact your mood and health. This essential oil diffuser is designed to be easy, powerful, and portable enough for anyone. Trending at $16.48eBay determines this price through a machine learned model of the product's sale prices within the last 90 days. Unisex Essential Oil Diffuser Lava Stone Bracelet Aromatherapy 7 Chakra Healing. Essential Oil Diffuser Lava Stone Bracelet Aromatherapy 7 Chakra Healing. Lava stone is porous and allows you to easily add a drop or two of your favorite essential oil. You can do it! Unplug the old transducer from the circuit board (the transducer sits at the bottom of the diffuser reservoir). Fill it up with water and your favorite essential oil. The proper screwdriver to do the repair. Product description: Made from high- volcanic stone that carries the symbolic effects of earth and fire. You will definitely enjoy the compliments while wearing this piece of jewelry. (SEE PRODUCT'S PICTURES ABOVE, ALL OUR PRODUCTS COME WITH BEAUTIFUL DESIGNED INSTRUCTIONS & AND GIFT PACKAGING, AVOID THE HASSEL & PAYING FOR RAPPING MATERIALS ). The size of the adult bracelets is 7.4 inches and adjusts from that point. The MYSTICS bracelets are built in a stretching elastic band. We recommend following measuring instructions before purchasing the MYSTIQS bracelets. Wrap a tape measure around the wrist on which you plan to wear your MYSTIQS bracelet. Make a note of the number at the point where the tape meets the 0. To ensure the bracelet fits comfortably, add 0.59 inches. doTERRA Petal Diffuser. Condition is New. Shipped with USPS Priority Mail. 300mL capacity. Pure Daily Care Essential Oil Diffuser Humidifier. Includes Essential Oils BPA Free Material Water Tank. Open Box item. See Photos for details. 14 Light Combinations. Simply inhale into the mouth then exhale through the nose and experience the benefits of essential oils on-the-go. Each 100% organic and vegan essential oil is free of GMOs, nicotine, tobacco, and artificial ingredients. NEW BATCH. YOUNG LIVING CITRONELLA ESSENTIAL OIL. 100% THERAPEUTIC GRADE. We aim to show you accurate product information. Manufacturers, suppliers and others provide what you see here, and we have not verified it. Essential Oil Diffuser - 300mL Ultra Quiet Wood Grain Aromatherapy Diffuser - Ultrasonic Cool Mist, Waterless Auto Shut-off, 7 Color LEDWhy use essential oil diffuser?. I just love this diffuser guide - The ideas are limitless. Chart to help you diffuse oils to support your individual needs. This booklet uses compliant language. 80 recipes by season, emotional need, etc. 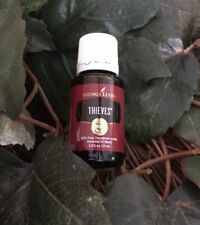 Young Living Oils are the gold standard for essential oils. It's been kept sealed tightly in a cool dark cabinet. Reduces Gas. Treats Skin Problems. Soothes Sore Muscles and Joints. 8oz - Premium Quality Lemon Essential Oil (8 Ounce with Dropper) Therapeutic Grade Lemon Oil. It's also great for making Lotions, Creams, Bath Bombs, Scrubs, Candles, and So Much More! Size:8 Fl Oz Lemon Essential Oil by. Color: Bamboo wood cover and base. "Family owned since 1968, NOW has been a leader in the natural products industry. - Elwood Richard, Founder of NOW Foods. Just add tap water and essential oils. Just add 150 ml (5 fl. ). SpaRoom BellaMist Aromatherapy Ultrasonic Diffuser. Perfect for compact spaces, the BellaMist is the soothing solution you've been looking for with its rotating lights and aromatherapy benefits. Wellness simplified with this full-featured essential oil diffuser.